Canal Street in New York City is home to some of the city’s best advertising agencies and most mediocre Chinese food. 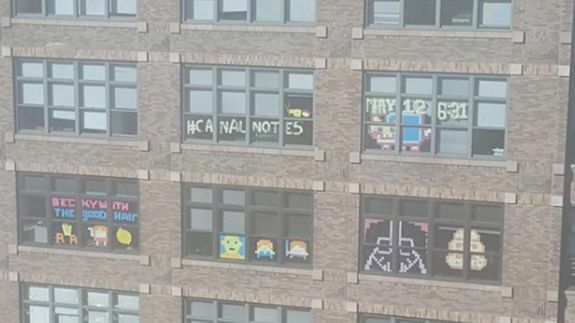 In the past week, agencies on the street have staged an elaborate Post-it war on their company windows, hoping to “out Post-it” their competitors. The art produced defies all office supply expectations.